Home→Our Journey→On the Road→It’s Good To Be Back “Home”! It’s Good To Be Back “Home”! 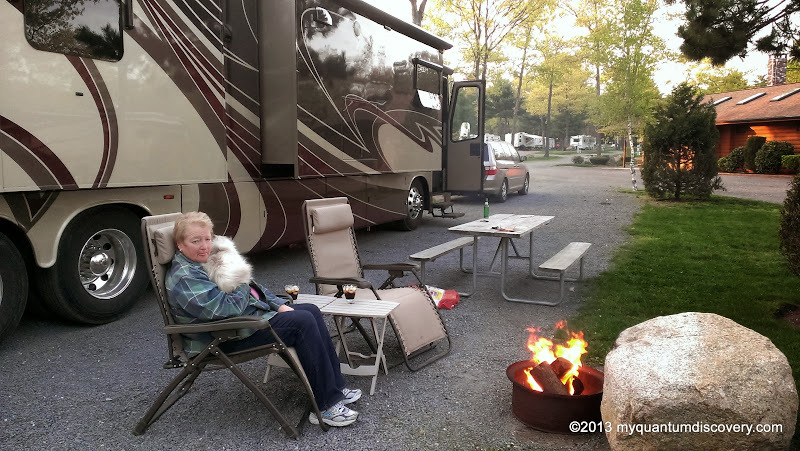 On May 14, we left Pine Hill RV Park fairly early in the morning with “home” as our destination. Our ride was uneventful with the highlight a stop for lunch at the The Everyready Diner in Brewster, NY. 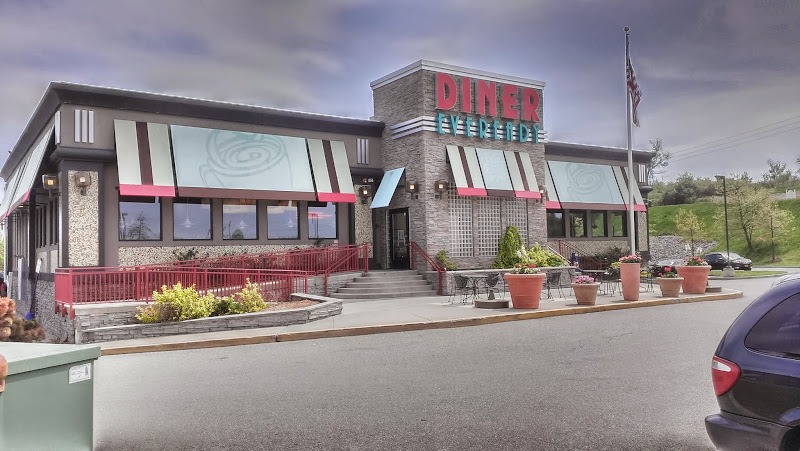 The Eveready Diner is at Exit 19 off I-84 and there is easy coach friendly parking in the adjacent Kohl’s parking lot. The food here is excellent in our opinion. 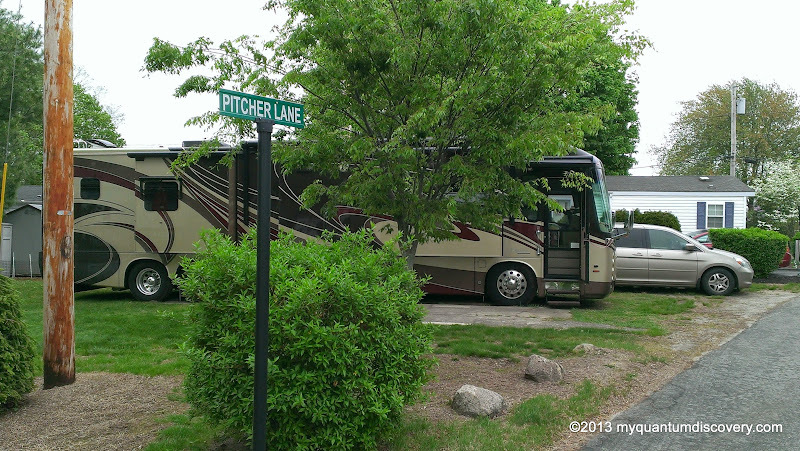 By mid-afternoon we had returned to familiarity and the Normandy Farms campground in Foxboro, MA. While RI was our final destination for the summer, as per our previously mentioned appointments in the area, Foxboro was a convenient stop. We stayed at Normandy Farms Wed 5/14 and Thu 5/15 to take care of that business, then headed out on Friday 5/16 around noon time, stopped at the truck stop a mile south on US-1 to top off the fuel tank (this station has dedicated truck lanes) and arrived about an hour later at Sun Valley in East Greenwich, RI. 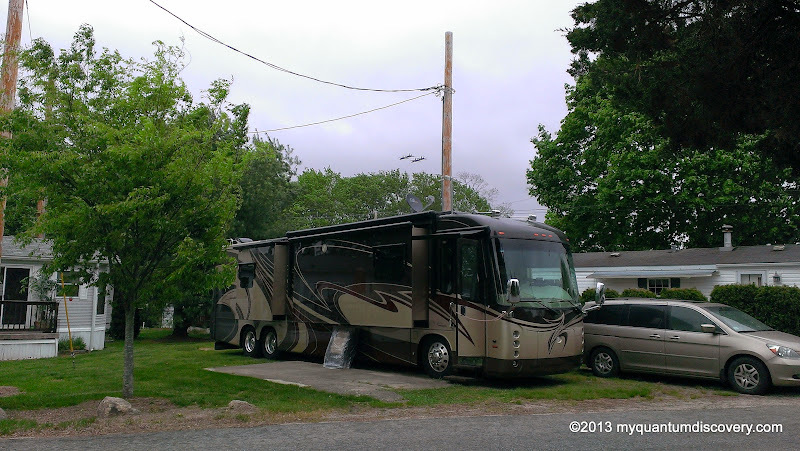 After getting backed into our site, the owner (Richard) and maintenance manager (Brad) came by to welcome us home. Our site is grass and because we had some problems with the jacks sinking last year, they had thoughtfully added some gravel and compacted the site for us. We still had a little bit of sinking but nothing too serious. And get this – they even sent out the Blue Angels for us! You can see 4 of the jets in formation just above the coach in the photo to the right. Well OK, maybe not just for us, the air show at Quonset Point was starting the next day (Sat) and they were practicing. Since the sale of our house back in September and embarking on our new nomadic lifestyle, we have often corrected each other about referring to RI and MA and our old stomping ground as “home”. 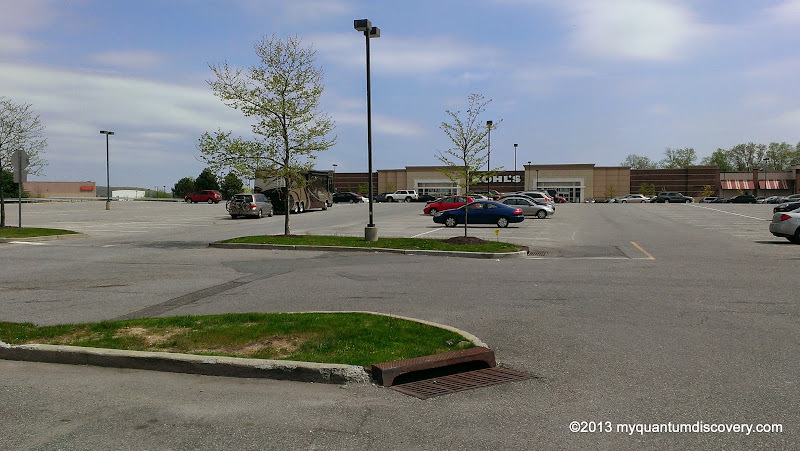 We reasoned that we don’t have a physical home there anymore so it isn’t really home – home is where we are parked – right? Well, no! We now see the folly of that thinking. 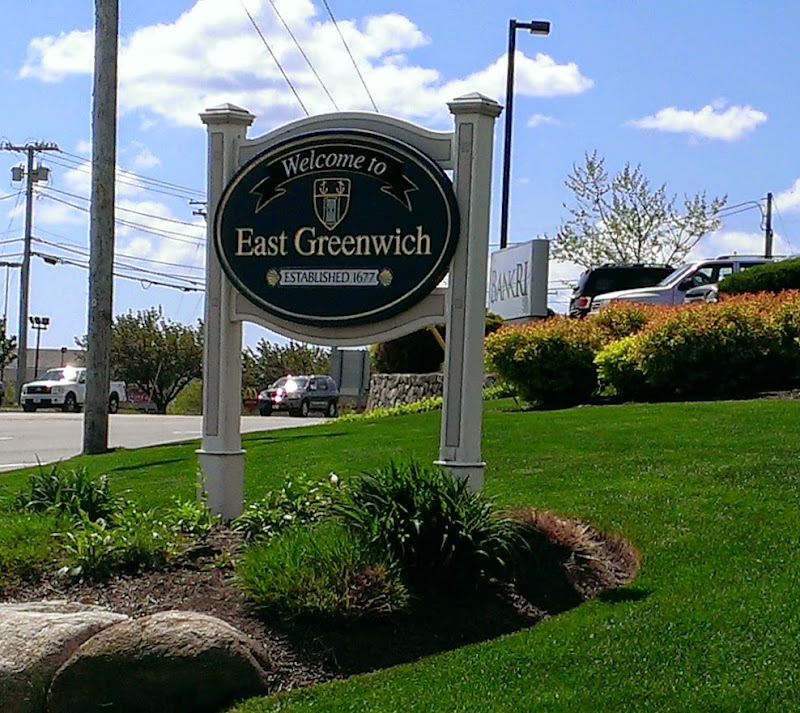 Now that we are here in East Greenwich, RI and surrounded by familiarity the sense of being back “home” is overwhelming! Especially for me since I grew up in this area (Linda grew up about an hour north in Westwood, MA). We have lived here for decades and the culture, geography, weather and all other aspects of life here are pretty deeply ingrained. It will be nice to be back in the land of a decent 99 cent breakfast at Athen’s Diner, pepper biscuits, Seeded Rye bread from Dave’s (a local market) , RI style stuffed cherry peppers, yummy pies from Schartner’s farms, clam cakes and chowder at Chelo’s, the awesome Fish and Chips, Calamari and Scallops at Ritrovo (not to mention the $2 beers), Twin Oaks with their fresh lobster salad plate awesome meats and Italian (red sauce) specialties, coffee syrup, close proximity to virtually any retail establishment including assorted hardware and marine stores, etc. and only 10 minutes to the EGYC and our boat. Yes its good to be back!